General Matthews was born 10 September 1882 and died on 20 August 1939. He was responsible for many innovations in Marine Corps marksmanship. 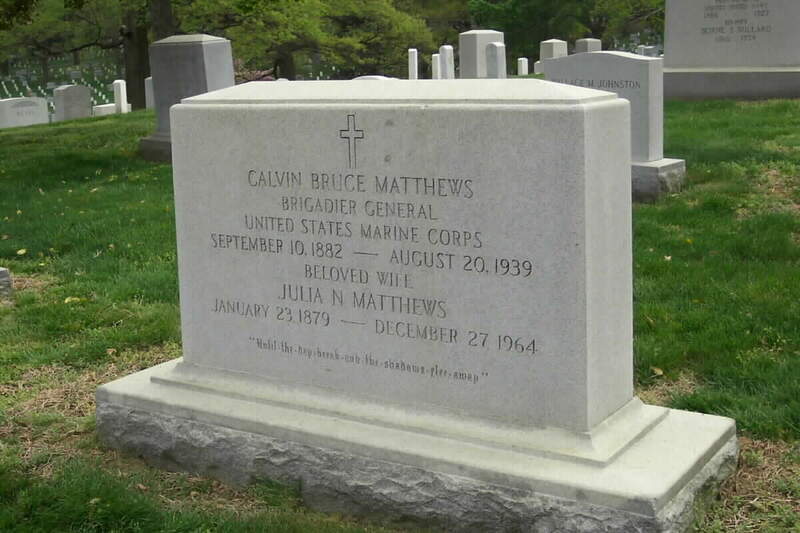 His brother is Hugh Matthews, Major General, United States Marine Corps, who is buried nearby. WASHINGTON, August 20, 1939 - Brigadier General Calvin Bruce Matthews, United States Marine Corps, died early today at the Naval Hospital here from injuries received in an automobile accident on July 31. General Matthews, who was promoted to be an officer of the line only on July1 of this year, was serving as President of the Marine Examining Board in Washington at his death. 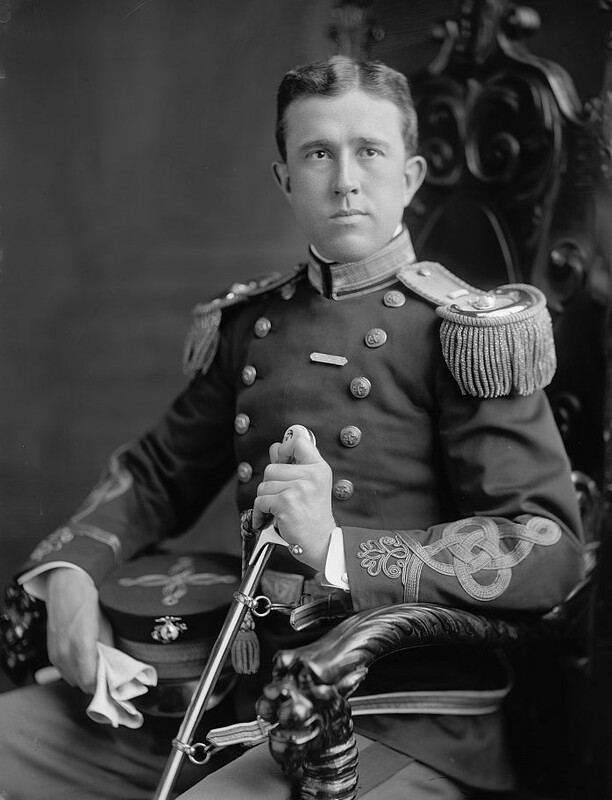 Born on September 10, 1882, he entered the Marine Corps as a Second Lieutenant in 1904. He served in most of the shore stations in the United States and abroad, finally becoming second in commandof the Haitian National Guard from 1923 to 1926. In 1932 he was in command of the Nicaraguan National Guard. Surviving are his widow, Mrs. Julia Matthews, and a brother, Brigadier General Hugh A. Matthews, United StatesMarine Corps, retired.